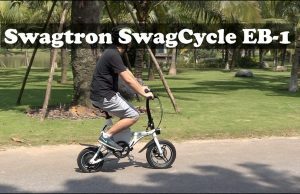 SWAGTRON introduced a new e-bike lineup this summer and the SWAGTRON SwagCycle Pro is one of them. This is an upgrade from the original SwagCycle released last year, so we can expect some significant improvements. 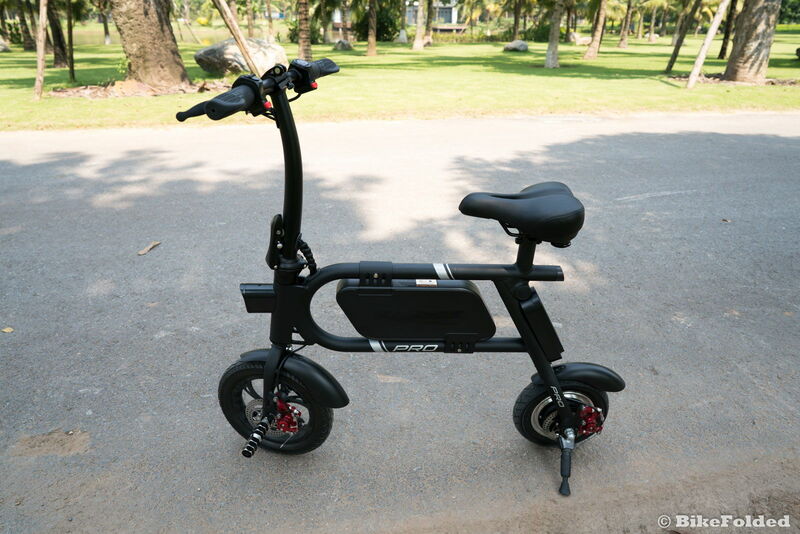 As compared to the original SwagCycle, the SwagCycle Pro features pretty much the same design but the manufacturer actually boosted the performance significantly. 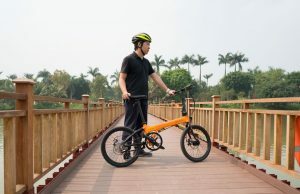 Specifically, we can see the battery in the body is bigger and it helps increase the battery life by more than 50%; Now you can ride the bike over a distance of 15 miles. 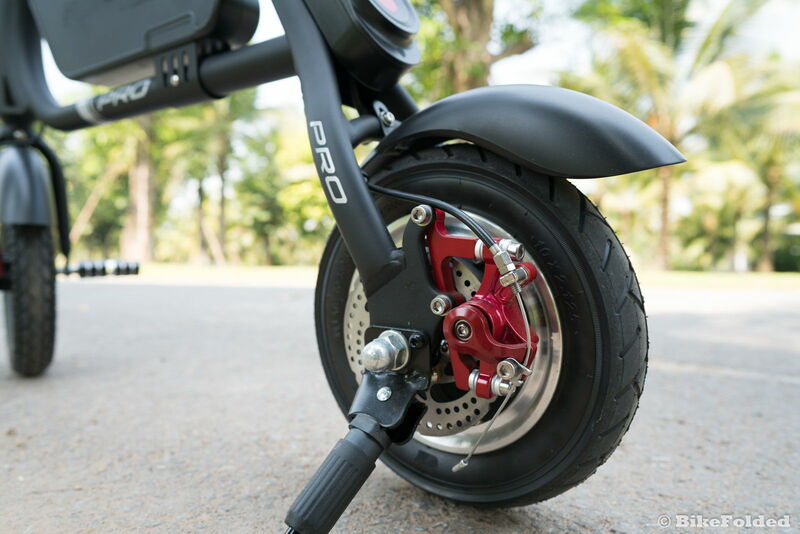 Another improvement is the more powerful 350-watt motor which boosts the top speed from 10 mph to 18 mph. 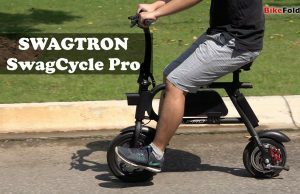 Unlike the SwagCycle EB-1 that I reviewed recently, the Pro version doesn’t have pedals and it runs in the full throttle mode only. 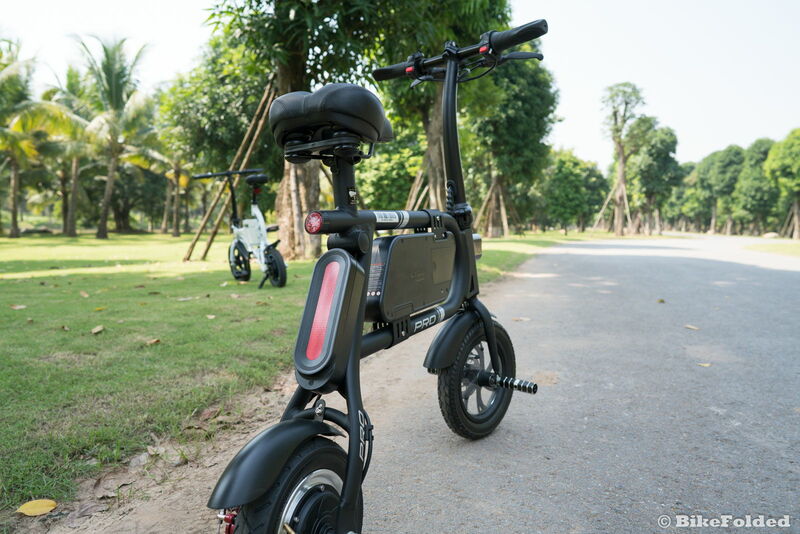 You can get started by twisting the handle grip on the right, place your foot on the pegs, and start enjoying the pedal-free riding experience. 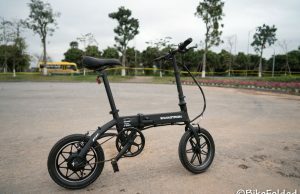 The bike features a compact design with a foldable stem and handlebar. The main frame is unfoldable but the bike still can fit in car trunks, so transporting the bike is not a problem. Just notice that the bike is still too bulky to carry on a bus or subway. 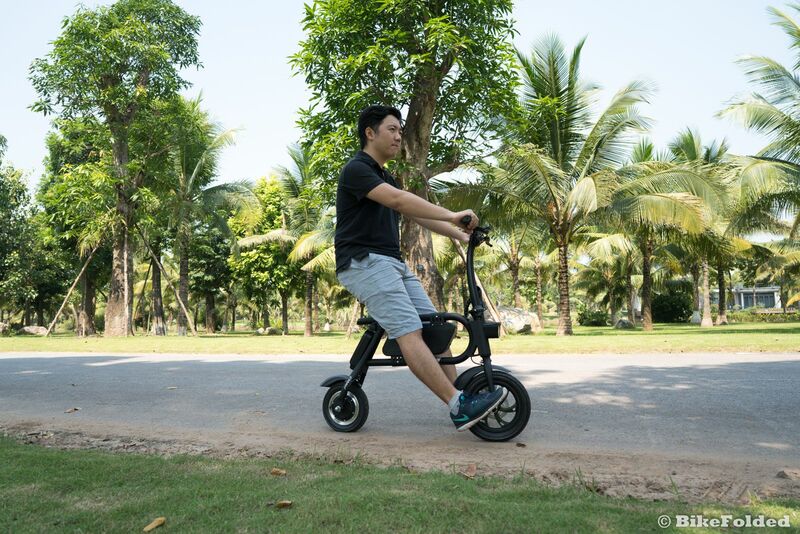 Riding the SwagCycle might be weird when you first try it but after a few minutes, you will be surprised at how comfortable and manageable the bike is. 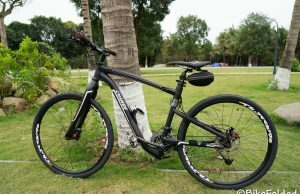 The bike is fairly stable and responsive, I can handle it with ease and I feel so relaxed when riding it on paved roads. 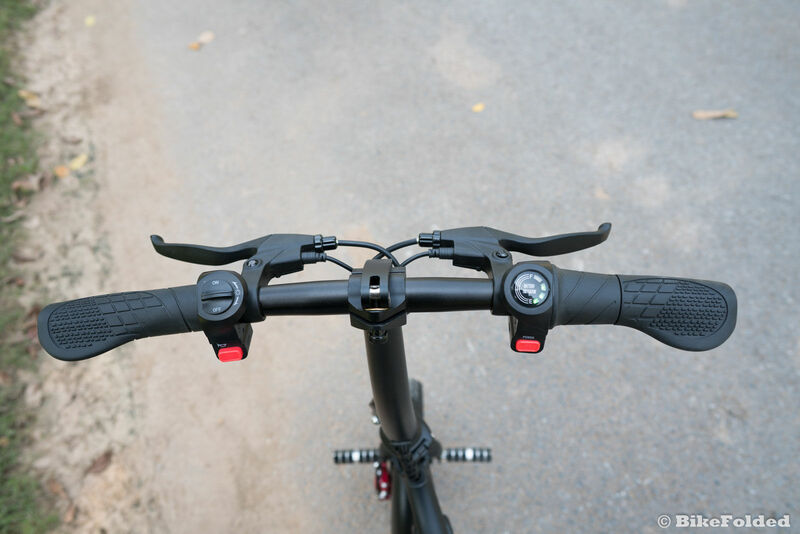 You can find all the controls on the handlebar, there are a power button, a horn, a headlight switch, and indicator lights showing the current battery level. We also have a USB port on the battery to recharge our smartphones but I rarely use it. Since the bike requires power to run and there is no backup solution, you will always need to check the battery before every ride. There is a compartment to store the charging cable in the battery, so make sure to place the cable back after every charge. A full charge takes around 4 hours. 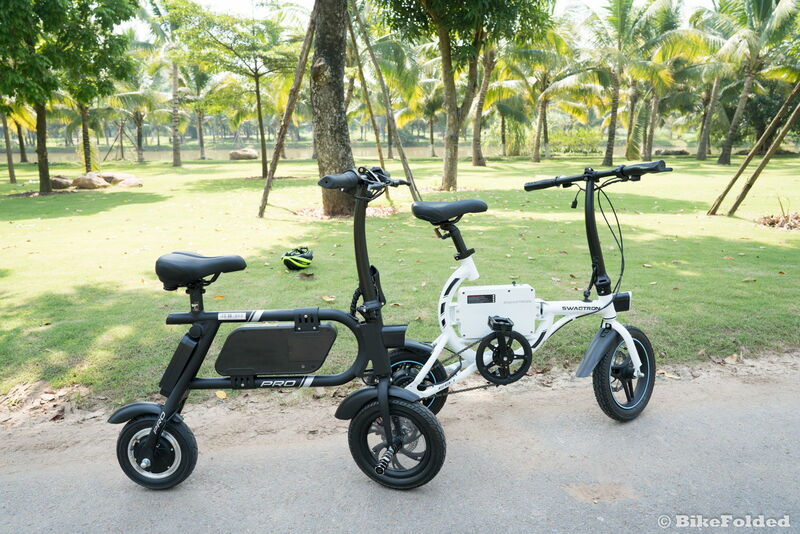 There is also a Swagtron app for iOS and Android which can be used to track distance or speed but it’s not necessary because I don’t need to track the performance of an e-bike. The only reason you should install the app is that it can unlock the top speed of 18 mph, then you can uninstall it from your phone. 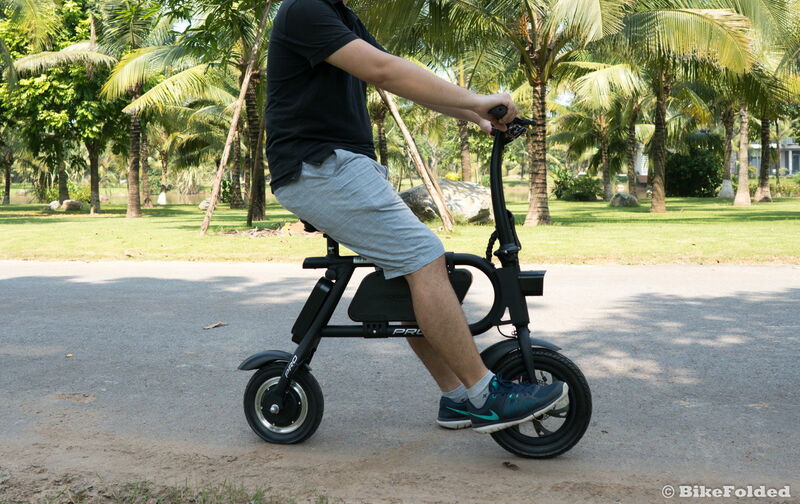 A shortcoming of the bike is that the seat is unadjustable, so it might be too low for tall riders. However, it still can fit people with the height of up to 6ft. 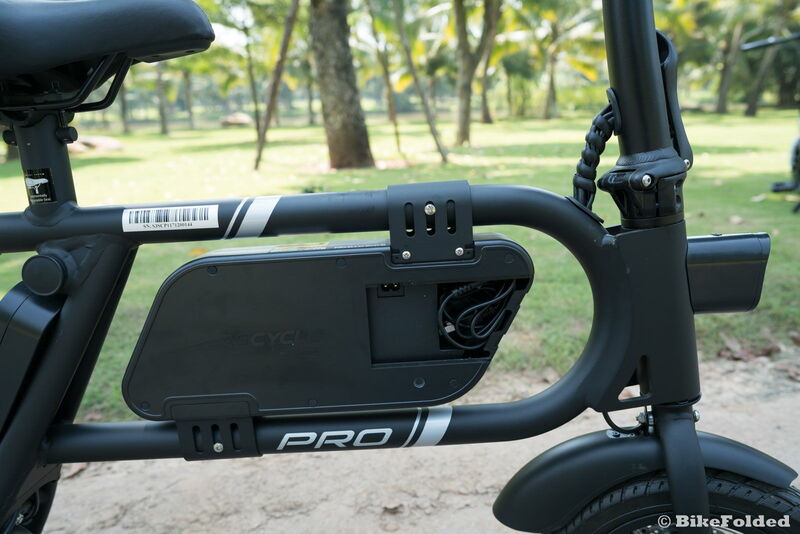 The SwagCycle Pro is an ideal choice if you’re shopping for a pedal-less e-bike that doesn’t cost a fortune. 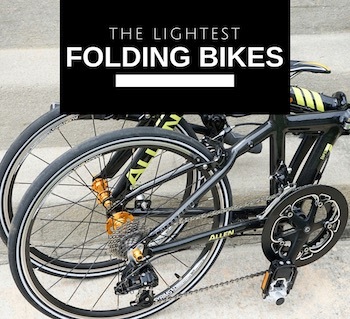 It’s great for short commutes or running errands. 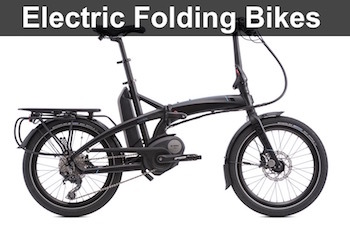 An affordable folding e-bike with improved battery and motor. This is the swagcycle pro……. If something goes wrong the customer service is terrible. I have two swag cycles. I have owned them for six months. One of them has spent a total of four months in for repair. The other over a month.